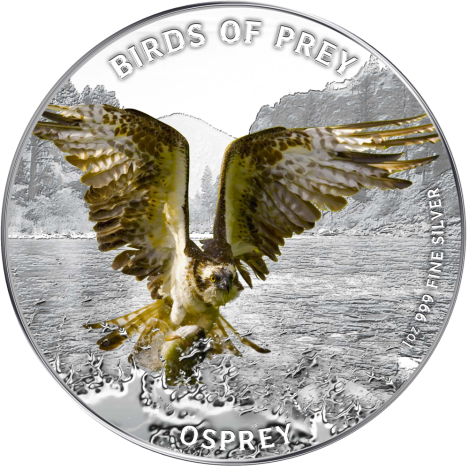 New Zealand Mint is proud to issue the Birds of Prey 1oz Silver coin series. Each of the coins within the series celebrates the beauty and power of these magnificent creatures. This dramatically captures an Osprey diving upon a fish with claws and wings outstretched to receive its prey. The power and magnificence of this bird is wonderfully captured in this detailed colour image. 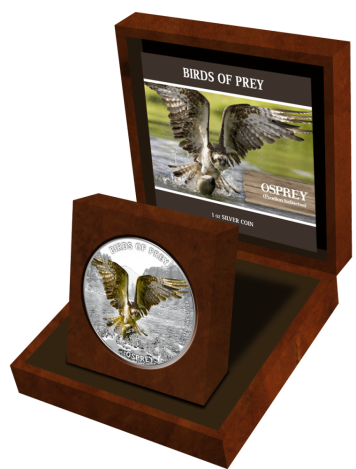 The Osprey is vividly set against an engraved natural landscape of great detail. 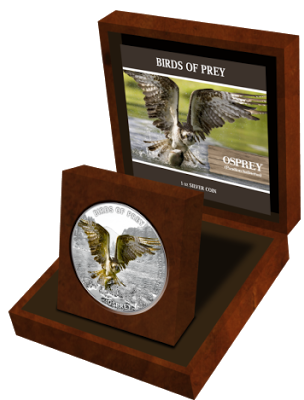 The coin is presented in an attractive wooden case with removable insert. Insert can be positioned so the coin is displayed upright.